Very professional service offering expert advice with the utmost integrity. All communications were clear and timely and you get what you pay for. I would have no hesitation in recommending Manjinder and his colleagues. I was being prosecuted for assault (which was untrue) and I was worried that a criminal conviction would cause me difficulties with my job, and career as I work for a well known accountancy company. In short if I had been found guilty, it would have been the end of my accountancy career. I did a lot of research to find the best lawyers for criminal defence cases, and one of my friends recommended Kang & Co Solicitors. From the initial call, I knew that this company would fight my corner all the the way. A fixed fee for representing me to trial was agreed, and they then began working on my defence. They kept in regular contact via e-mail and phone, explained everything to me and did a fantastic job of representing me for my trial at Birmingham Magistrates' Court. I was eventually found not guilty, which was the resulted I needed. I would have no hesitation in recommending this company to anyone that values their career and reputation. I called a number of other law firms before eventually choosing to go with Kang & Co Solicitors. The other firms were all giving me 'the pitch' telling me they had a 97% success rate and all sorts of other nonsense, which I knew wasn't true having appointed many lawyers in my time for my companies. I like to think of myself as a relatively intelligent person, given that I own a number of very successful businesses. I also asked a few questioned from them and found out I wouldn't even have a solicitor working on my case, they would have a 'paralegal' (a legal assistant) on my case!!! I eventually spoke with Manjinder Kang, he was the only solicitor that gave me an honest assessment of my case over the phone, there were no hard sell or sales tactics whatsoever. He didn't come out with any ridiculously high success rates either, he simply explained that each case is based on it's own facts and evidence. He explained that anything can happen at Court and he would fully assess my case if appointed and would try his best at obtaining a successful result in Court. I found him to be a very genuine and straight talking guy. Another reason I chose this company was because they were the only company which insisted in arranging a meeting in person so that they could meet with me and prepare my case well in advance of my Court Hearing. All the other companies only offered phone meetings if I appointed them. This case was very important to me and I wanted to meet my lawyer in person so that he fully understood my case. I'm a strong believer in meeting the people I do business with, and Manjinder clearly shares the same view. I met with Manjinder at his office a few weeks before the Court Hearing, the meeting lasted a few hours and he explained absolutely everything in detail. He doesn't 'sugar-coat' things which I think is always the best way as it's important for me to understand the weaknesses in my own case. He then represented me in Court and explained everything to them, which gained me the desired result. I would have no hesitation in recommending this company, and have already done so. Manjinder had a very professional approach to my case from the outset. Very thorough always kept me informed or any developments . Nothing was to much trouble for him or his company. gave valuable advice and continuing to do so. Top service, responded to e-mails quickly, explained everything in details and represented me well in Court, couldn't ask for more. I used this company for a speeding offence prosecution because I was at risk of being banned from driving. They called me in for a meeting at their offices where I explained what happened and why I shouldn't be banned. The solicitor advised me of the law in detail and represented me in Court where they were able to convince the Court that my personal circumstances amounted to exceptional hardship, as a result I wasn't banned. I was impressed with their service. 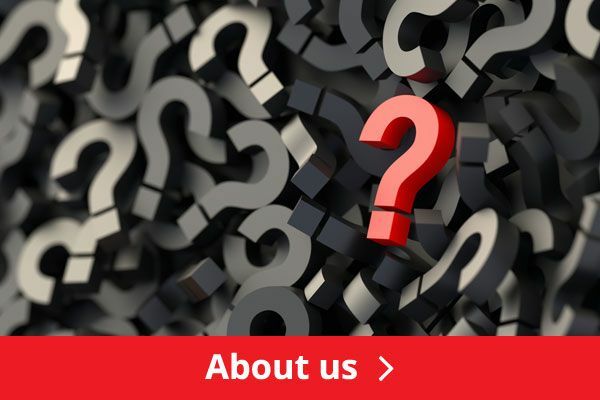 An experienced law firm that goes the extra mile to explain every aspect of the case and options available in detail. Professional and straightforward service. No false hopes to hook you in, achieved what I was looking for. I paid a fixed fee of Â£1,500+VAT for my case which was very reasonable considering I was able to meet one of the solicitors in person at their offices (other firms only offered telephone meetings) and considering they represented me at Court for the full day. I was impressed with their service and communication throughout the case and the result they obtained for me in Court. I would have no hesitation in using this company again. I would like to say firstly a Big Thank you to Kang and Co especially Mr Manjinder Kang Solicitor and Mr Thomas Wheeler Barrister an excellent job done. They both know the laws and the perfect outcome. I feel that to have the best is to get the best and this company definitely fits this. Everyone makes mistakes and the law can be sometimes not be forgiving and can ruin your life but with these people to help and got the Best results I am truly thankful to u both . I would have no hesitation in recommend Kang & Co Solicitors to my friends and family members. The solicitor was very professional and I could see he was experienced, I met with him at their offices in Birmingham and explained the details of my case, he provided me with my options and the overall likely cost and the advantages / disadvantages of each possible option available to me. I felt that he took the time to get to know me and why I was passionate about my case and how a negative result at Court would impact upon my career, reputation and family life. I was kept updated with the progress in my case and he was always quick to respond to any questions I had following our initial meeting. Everything was explained in simple English and I genuinely felt that he cared about my case throughout. In Court we were successful and I truly believe this was down to the detailed preparation he had put into my case weeks before we were in Court. A great company and a great result. Great result. Very professional and efficient from start to finish. Thomas wheeler represented me. Thanks! Great law firm. 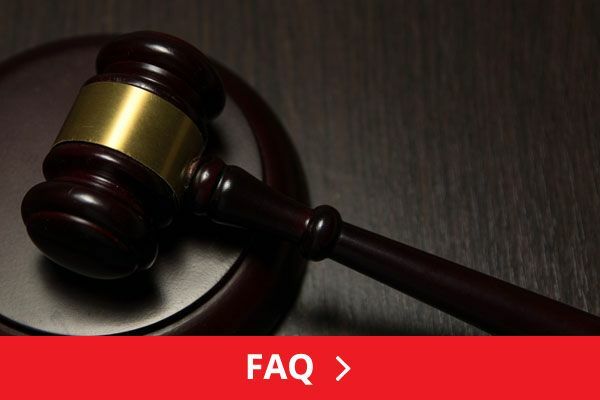 They have friendly and professional solicitors and barristers that keep in regular contact throughout your case, they are also very clear in terms of how much the case will cost to defend and offered me a fixed fee. I was referred to this company by a property lawyer that I have used for many years, I'm glad he put me in contact with this company as they spoke with the prosecutor and got the case against me dropped. Money well spent, would certainly recommend. Thank you for your help. Kang & co solicitors are worth every penny spent. I have had a very good experience with this solicitors, helping me reduce my enevitable driving ban to as low as I could of possibly wished for. This firm are clearly very experienced and knowledgeable at their jobs, providing me with all the possible options and outcomes. They were very supportive throughout the entire process and I owe them a big thank you for helping me to retain my job. From the initial call through to the conclusion of my trial at Court, the lawyers at Kang & Co Solicitors provided me with honest advice and an excellent service. The lawyers take their time to get to know you and your individual circumstances and are very supportive throughout. They didnâ€™t make me any silly guarantees about â€˜getting me offâ€™ to secure me as their client, they simply said they would do their best to represent me. I was found not guilty at trial and would recommend them to anyone that need a top class lawyer in their corner. They are more expensive than other lawyers but after having been a client, I can see why. Excellent, professional company.Would definitely recommend . I would recommend this company to everyone,simply because they treat you like an individual.They treat your concerns as their own. My licence was going to be revoked and i was considering representing myself in Court and a family member recommended contacting Kang & Co Solicitors. I then weighed up using a specialist firm or representing myself and made the right choice and i may have paid legal fees but in the long run it works out much cheaper paying for a specialist as i got the result i wanted in Court. Chris Hopkins who represented me in court was very supportive and professional. He done his up most to get me the best outcome and delivered. Friendly and knowledgeable solicitors that helped me with my case. I was impressed with their knowledge of the law and how they explained everything is simple terms. They represented me in Court and obtained a fantastic result for me. I'll be recommending Kang & Co to any friends or family members that need a good lawyer. Very good lawyers, charged me a reasonable fee, provided me with a meeting with one of their lawyers at their offices where I explained the background to them. They explained the law in simple terms and represented me in Court where they were able to get the result we were aiming for. A very professional and straight talking company that does what they say they will do. I would certainly recommend using this company for legal issues. 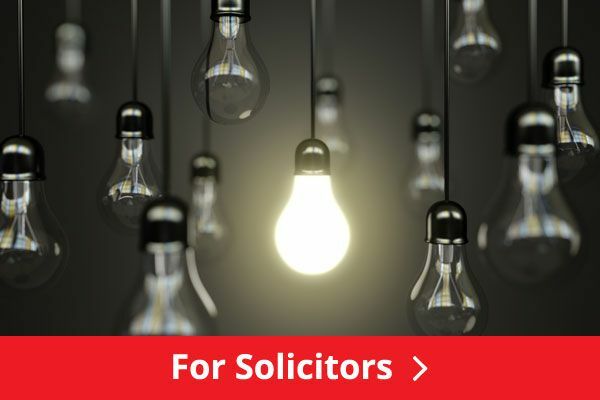 I called a few other firms before contacting Kang & Co Solicitors and the impression I got was that the other lawyers just wanted to progress my case to trial, which would have cost me several thousands in legal fees. I then called Kang & Co Solicitors and spoke with one of their lawyers on the phone, he explained everything is plain English. 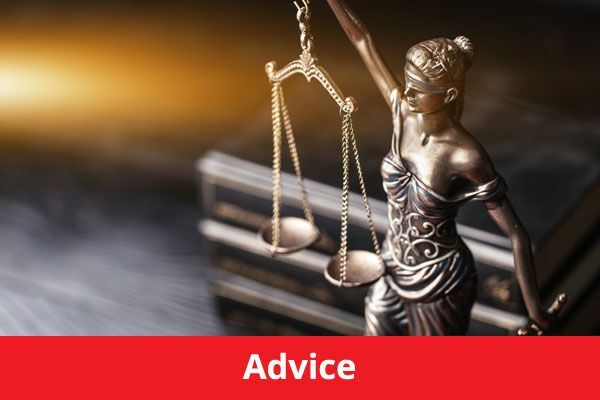 He explained to me why a trial wasn't the best course of action to take in my case, due to a number of issues in my case, he provided me with honest and genuine advice which made sense. I then instructed Kang & Co to represent me at Court and I still received an excellent result without having to spend thousands of pounds on a trial. I appreciate the honest advice from this firm and their excellent client care throughout my case, I would certainly recommend this company to friends and family members looking for a honest and genuine Criminal Defence Lawyer in Birmingham. Thanks for your help. Their approach has been a refreshing change: so professional focusing on the client and not themselves. They make the complex clear and concise and the team are supportive throughout. Thanks guys. Everything was managed in a very professional manner, I would definitely recommend to friends and family. I am extremely grateful that I decided to go with Kang & Co Solicitors. Mr Manjinder Kang himself handled my case and from the first call to the very end, he has been extremely helpful and professional. His approach to any case is clearity and honesty, something that I greatly respect him for. Additionally, he is very knowledgeable in his field while being able to explain complex legal systems in a "normal" way so that you are able to understand it. This combination works extremely well and allows you, as his client, to feel relaxed and relieved knowing that he is handling the case. To sum it up, I would highly recommend Kang & Co Solicitors, their services may cost a little more than other solicitors in this field but their work ethic and services is worth every penny. Even though my case was probably one of the simple ones he's handled, you are still made to feel like you are top priority, something that might not always be the case elsewhere. Kang & Co Solicitors explained everything to me in detail about my case, they clearly explained the options available and recommended the best course of action to take in my case. I was represented by them at Birmingham Magistrates Court and I avoided a driving ban. I would certainly recommend them to anyone facing a driving offence. They were slightly more expensive that other law firms I spoke to before deciding however, I am glad I spent the extra money and went with Kang & Co Solicitors as a driving ban would have cost me my job! I would have no hesitation in recommending Kang & Co Solicitors. They were so professional with a great personal touch. Majinder and his team do not only provide prompt and precise advice but they do it in a way that cuts out the legal jargon. Excellent service from start to finish. Would definitely recommend. I was facing a prosecution for a criminal offence. I contacted Kang & Co Solicitors because a friend had recommended them to me. The lawyer explained everything in detail and when I was represented at Court I was found not guilty. Iâ€™m grateful to Kang & Co for their advice and representation at Court. Kang & Co Solicitors are very efficient and punctual. They went out their way with their services. My friend recommended them and I will indeed do the same. Excellent quality. Anything I didn't understand was explained to me. They went out of their way with very short notice for the work I required. Mr Kang and his team provided me with excellent support and advice and I was very pleased with my outcome at Court. I would be happy to recommend his firm to anyone who needs advice with motoring offences. Manjinder Kang is a unique lawyer, in that his approach is to be 100% honest with you. Manjinder guides advices and navigates around all the technical legal speak to make understanding your case easier. I would and have recommended him to all my contacts and associates. If you need seek or require the legal advice in transport related issues there is no one better. I was being prosecuted for a driving offence, I appointed Kang & Co Solicitors and they called me in for a meeting, explained everything and represented me at Court. Their advice and representation at Court saved me from a driving ban. Communication excellent, appointments were given at convenient times. The whole process was dealt with efficiently and with discretion. A good company that provides honest and to the point legal advice. Highly professional and efficient team of solicitors at Kang & Co Solicitors, especially Carla Riozzi who I would highly recommend. She was very knowledgeable and dedicated. I am an accountant and was being prosecuted for a driving offence, which would have resulted in a driving ban and losing my job, as I need to drive to see my clients. I wasn't going to represent myself at Court, as I had too much at stake. I found Kang & Co Solicitors on the internet and decided to give them a call as they were the only specialist driving offences law firm in Birmingham. I called Kang & Co Solicitors and spoke with Manjinder Kang, after speaking with him on the phone for a few minutes, it was clear that he had a lot of experience in this area of law and knew what he was talking about. Manjinder was very professional throughout the case and when the case went to trial, he presented the defence and the Magistrates' found me not guilty. Manjinder has achieved an excellent result for me and has saved my career. I instructed this firm for a driving offence, they contacted the Police and a few days later my case was dropped. I was pleased with the service and the fact that I didn't have to go to Court. Gave honest and to the point advice.